Are you tired of dealing with hip flexor problems, season after season? Are you looking for a way to finally end your hip flexor pain? Discover the medically proven way to finally eliminate your hip flexor problems, and return to sports FASTER, STRONGER, and QUICKER than before. In just 6 short weeks, you can eliminate your hip flexor pain. Not only that, you can train your body to run faster, jump higher, cut quicker, and perform better than before your injury. Hip flexor injuries can be nagging chronic injuries if not treated correctly. They cause pain with simple activities like walking and going up and down stairs. They can affect your on field performance too - you could lose inches from your vertical...or be seconds slower. Worst of all - the majority of hip flexor injuries become chronic. Once you have one, you are at a much higher risk for re-injury. That means every time you step out onto the court or field, you are at risk to start the whole healing process over again. If you have had a hip flexor strain, you already know what I am talking about. You have experienced the pain with simple things like walking and stairs. You have missed time from sports. You may have tried the traditional treatments - ice, stretching, basic strengthening exercises - all to get yourself back into the game. But did you feel like you were 100%? The simple fact is that most hip flexor injuries are doomed to become chronic simply because rest, ice, and stretching just are not enough to properly rehabilitate this injury. These treatments may reduce your pain, but they won't do anything to address the underlying problems that actually caused your injury in the first place. Until those problems are resolved, you will never be able to return to your potential on the field. If you are worried about getting back to sports safely and quickly, and don't want to deal with chronic, frustrating hip flexor problems, I can help you get off the sidelines and back in the game. My name is Bart Anderson, and I am a certified athletic trainer. Over the last 10 years I have treated hundreds of patients with lower extremity injuries. Working in a sports medicine clinic, I saw patients of every age and from every sport with injuries just like you. I have treated countless patients with hip flexor injuries. Most of them suffered from nagging, season after season injuries. They tried rest and ice, stretching and basic strengthening on their own. After a few weeks, they usually felt better, and returned to their sports. But they weren't as fast, they weren't as strong, and their performance suffered. It wasn't long until they were injured again, and out of the game. During my career as an Athletic Trainer, I have worked with dozens of sports medicine physicians, athletic trainers, and physical therapists. And hundreds of athletes. These relationships have given me real world experience in treating sports injuries - and successfully returning athletes to sports. One thing that I have found in my practice is that every injury happens for a reason - there is always an underlying cause for why a part of the body gets overloaded and injured. Hip flexor injury is no different. There are ALWAYS underlying issues that cause the hip flexor to be injured. The key to a full recovery, to returning to the field as strong and fast as before, to eliminating your hip flexor problem once and for all, is correcting these underlying problems and then restoring your strength, power, and endurance. Do you know how you injured your hip flexor? Was it a jump, a cut, a pivot, or a kick? Do you remember feeling that pull, that pain, and not being able to go on? You are not alone. 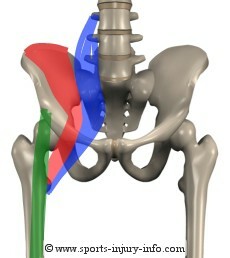 Hip flexor injuries are common in sports. The hip flexor is a group of muscles that cross the front of the hip. Their primary job is to help move your leg, pulling your knee to your chest or lifting your foot off the ground. For the hip flexor to do their jobs, the rest of the muscles in your hips and core need to be pulling their weight. - then your body has to compensate. 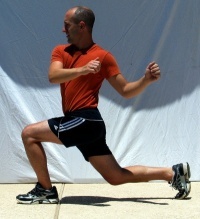 Your hip flexors primary job is to move your leg. But if there are mobility restrictions, or weakness in the core, then the hip flexor gets called on to do extra work. What happens when you have to work twice as hard or twice as long as usual? The same thing happens to your hip flexor...when it has to help stabilize your core, or has to work harder to move restricted joints, it gets tired. Tired muscles aren't as strong, they aren't as powerful, and they are much more likely to be overloaded and injured. Rest, ice, and stretching can help with your hip flexor problem, but if you want a full recovery - if you want to get back to sports quickly, safely, and as strong and powerful as before, you need to get your body back into balance. In 10 years of practice, I have found that balancing the body is the key to recovering from injury. This is true whether you are treating Patella Femoral Syndrome, ankle sprains, or hip flexor injuries. I have treated hundreds of athletes, just like you, who had bodies that weren't in balance. Once we restored their mobility, their flexibility, their strength, and control, they were able to return to sports faster, stronger, and more powerful than before their injury. Imagine being able to jump higher, run faster, and perform better after just a few weeks...it is possible, and I can help. Hip Flexor Solutions is a comprehensive guide to restoring balance to your body to eliminate your hip flexor problems. I have personally selected the best exercises for improving mobility and flexibility, and for developing core strength, power and endurance in your hip flexors. These are the same exercises I have used with hundreds of patients, so I know that they work. You won't find the same old boring exercises in Hip Flexor Solutions. 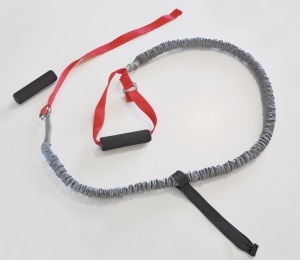 It has been developed using the newest, cutting edge functional exercises for injury treatment. Included are over 28 exercises designed specifically for treating your hip flexor injury, and improving your game. With indepth descriptions and video demonstrations (available online here at Sports Injury Info), you will have instant access to the guidance you need to solve your hip flexor problems and get back to sports. Hip Flexor Solutions is divided into two phases. The first phase builds a foundation of mobility and base strength. You will start out balancing your body and eliminating the risk factors that led to your injury - tight muscles, immobile joints, and weakness. In phase II you will add to that advanced strengthening and power exercises to maximize your results. These are total body exercises that will not only improve your hip flexor function, but will train your body to improve control, stability, and performance. Don't be another athlete who never fully recovers from their hip flexor injury. Don't settle for a loss in speed, power, and performance. In just a few short weeks Hip Flexor Solutions can have you back on the field, running faster, jumping higher, and playing better than before, best of all, pain free. If you are suffering from a hip flexor injury and want to eliminate your pain and restore your normal daily activities, Hip Flexor Solutions will walk you step by step through your recovery. If you are a competitive athlete and want to restore your power, endurance, and strength, you'll discover cutting edge functional activities that will improve your performance. If you just want to live an active life and not have worries about re-injury, I can show you how. Can You Trust Me With Your Hip Flexor Injury? If you have been searching for solutions to your hip flexor problems, you have probably found a lot of information on the internet claiming to do everything I have discussed above. 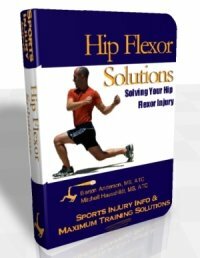 Hip Flexor Solutions is the fourth ebook in the "Solutions" series. To date, I have provided rehabilitation guidance to hundreds of people, just like you, who suffered from sports injuries. I know the exercises in Hip Flexor Solutions can successfully eliminate your hip flexor pain and return you safely and quickly to your sports activities. I am so confident that this program will provide you with everything you need for a full recovery, if after trying Hip Flexor Solutions you are not completely satisfied, I will refund your entire purchase price, no questions asked. You have nothing to lose but time - Download your copy of Hip Flexor Solutions today, read through the program, and start using these cutting edge exercises to eliminate your hip flexor problems. Hip Flexor Solutions - an instantly downloadable e-book with over 55 pages of exercise information. A comprehensive guide to the BEST exercises proven to eliminate problems associated with hip flexor injury. The six best exercises for improving mobility and flexibility. 11 base strengthening exercises that will eliminate your weakness, producing a stronger and stable body. 11 advanced, total body functional exercises that will improve your balance, power, and performance. With your purchase of Hip Flexor Solutions you will recieve one on one customer support - so if you have specific questions about the ebook or don't quite understand an exercise, I am only an email away. As an added bonus, you will have access to selected videos for many of the exercises from Hip Flexor Solutions. In addition to the detailed instructions and photos in the ebook, you can see actual video demonstrations, just a click away on Sports Injury Info. Where else can you get a complete program of exercises proven to treat your hip flexor injury, improve your power, speed, and performance, AND get you back to sports, all for under $25? This will open your shopping cart with Hip Flexor Solutions. If you have a discount code, you can enter that in the appropriate box. Click on the yellow PayPal button to check out. You will be taken to a secure payment page and will be able to complete your order. You can pay using your PayPal account or credit card. Once your payment is complete, you will be redirected to the secure Hip Flexor Solutions download page. If you are not re-directed, click on the orange "Complete Your Purchase" button on the payment page. You will also receive an email confirmation with your download link. The subject line will read "Hip Flexor Solutions Purchase from Sports Injury Info"
Hip Flexor Solutions is only available as a downloadable ebook. No physical product will be shipped to you. You may be thinking to yourself "Can this guy be for real?" Many of my patients have asked the same thing...until they were running faster and jumping higher. If you have had a hip flexor injury, you owe it to yourself to do everything possible to keep it from becoming a chronic, recurring problem. I've seen it too many times, athletes who don't focus on the right things during recovery, who end up with a second or third injury shortly after returning to sports. Don't let this happen to you. Rest and Ice just aren't enough to get you back to your game. Don't settle for half a recovery. You really have nothing to lose, and everything to gain. Go ahead, download your copy of Hip Flexor Solutions today - try the exercises, work through the program. 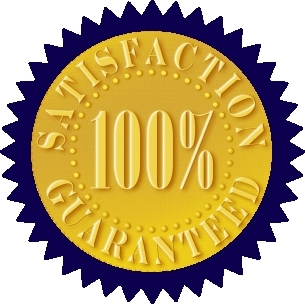 If, after you give the program a chance, you are not completely satisifed, send me an email, or use the contact form, and I will gladly refund your entire purchase price - with absolutely no questions asked. I developed Hip Flexor Solutions to help people like you free themselves from the frustation of chronic hip flexor problems. But you can't benefit from the program unless you try it. Download Your Hip Flexor Solutions Today!